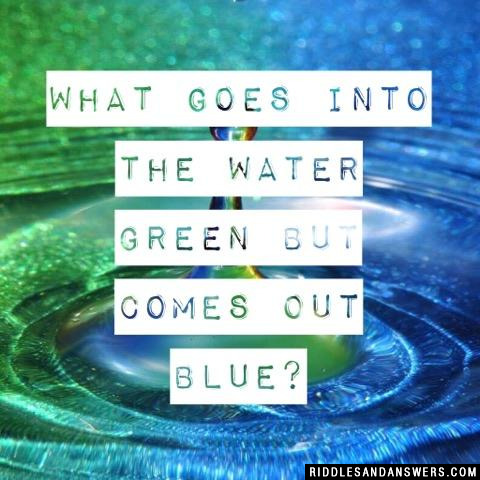 Color riddles are trick questions that relate in any way to colors. "You're in a 1-story house made "entirely of cedar." What color would the stairs be? Of course, the answer to this trick question is "there are no stairs!" As you can determine from the above-stated example, this list (compiled by our staff) is a great one for testing and working out your mental reasoning skills. This list is especially for people who have an interest in the colors we see on a daily basis. 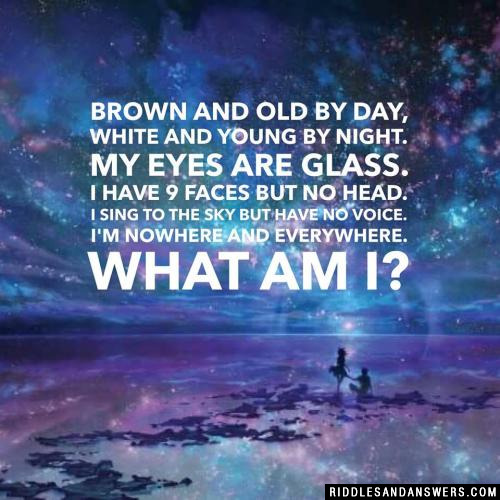 There are a few questions here solely for the amusement of children, but a majority of these riddles will be a thrill for adults and kids to enjoy together. A bear hunter sets out from camp and walks one mile south. He sees a bear and is about to shoot it. The bear grabs his gun and eats it. The hunter runs away one mile east. He then walks one mile north and gets back to his camp and changes his underwear. He starts at at the NORTH POLE. This means he walks south for a mile, but when he heads east for a mile he's just walking round in part of a circle, and stays one mile from the North pole. Therefore he only has to walk a mile north to get back! 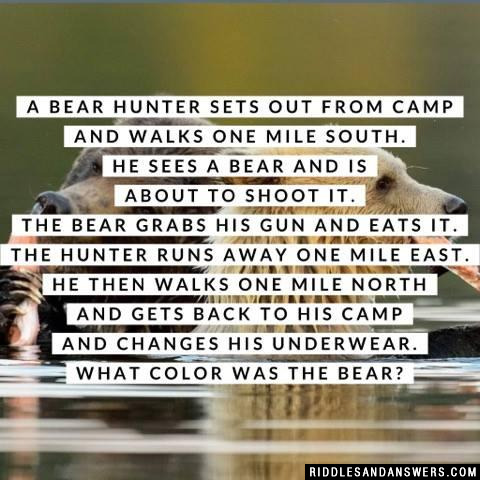 So what color is the bear? It has to be a polar bear, so it's WHITE! Brown and old by day, white and young by night. My eyes are glass. I have 9 faces but no head. I sing to the sky but have no voice. I'm nowhere and everywhere. What am I? 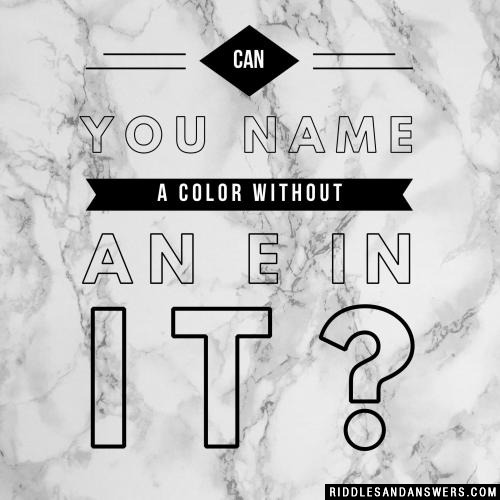 Can you name a color without an e in it? What goes into the water green but comes out blue? You'd find in a rainbow? What is the pink goo between an elephant's toes? What's black, white and laughing? The zebra that pushed the other zebra into the swimming pool! There was a man that was all red. Everything was red on him but...how is he still blue? A 3 inch cube is painted on all sides with RED. The cube is then cut into small cubes of dimension 1 inch. All the so cut cubes are collected and thrown on a flat surface. What is the probability that all the top facing surfaces have RED paint on them? Hint: Visualize the core of the cube. The core of the 3 inch cube when cut, has all faces that are not painted. Hence at least one cube with no painted face always occurs. 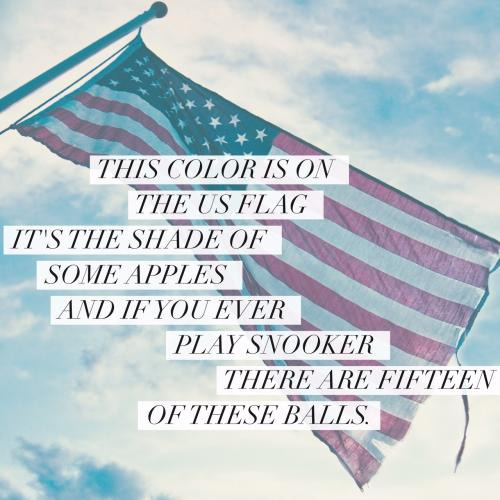 Can you come up with a cool, funny or clever Color Riddles of your own? Post it below (without the answer) to see if you can stump our users.